Julie Slama of Peru will fill an upcoming vacancy in the Nebraska Legislature. 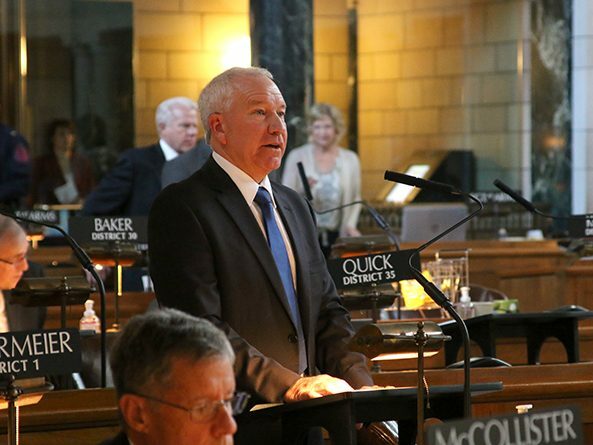 She will replace Syracuse Sen. Dan Watermeier, who was elected to the Nebraska Public Service Commission in November and will vacate the legislative seat next month. 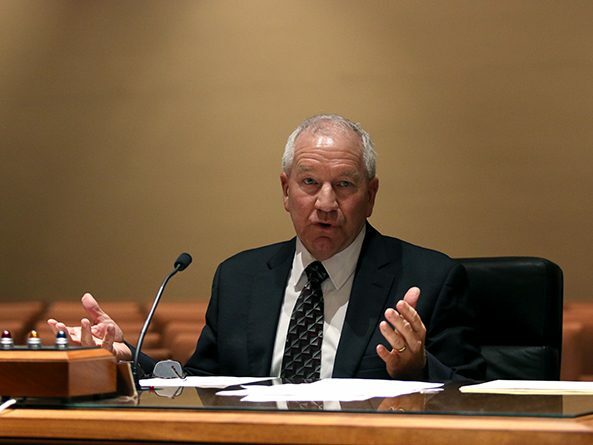 Legislative oversight, performance audit reporting requirements and redistricting concerns topped the list of Executive Board issues considered by lawmakers this session. 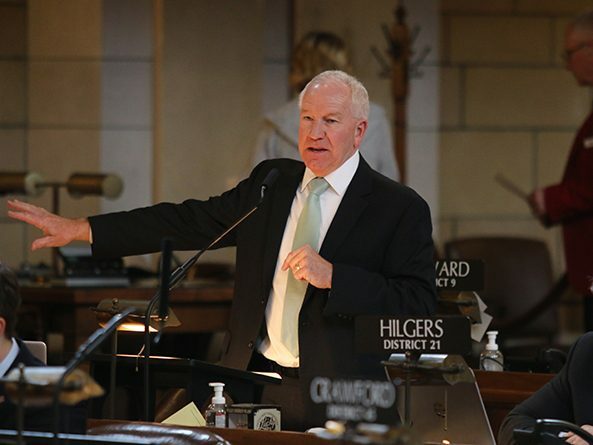 A bill that would require some retailers without a physical location in Nebraska to collect and remit state sales and use tax stalled on final reading March 15. Lawmakers gave first-round approval March 7 to a bill intended to assist counties facing costs from correctional institution incidents. 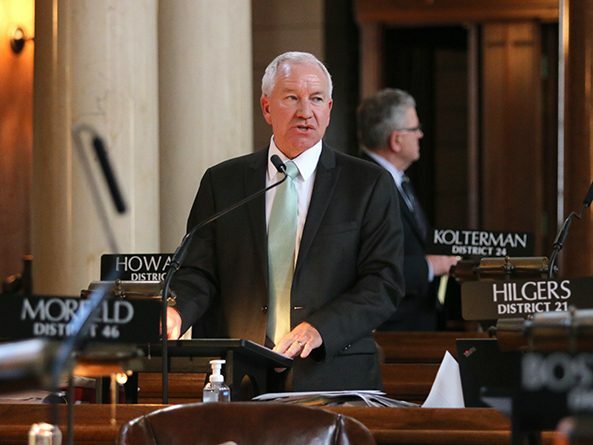 Lawmakers gave second-round approval March 6 to a bill that would require some retailers without a physical location in Nebraska to collect state sales and use tax, pending a U.S. Supreme Court ruling in June. 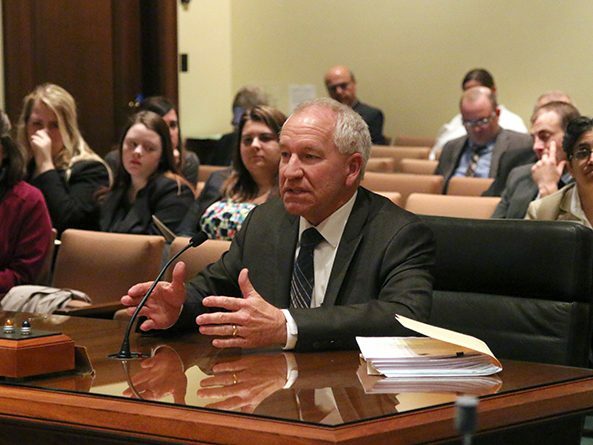 The Appropriations Committee heard testimony Feb. 13 on a bill intended to assist counties facing costs from correctional institution incidents. The Transportation and Telecommunications Committee heard testimony Jan. 30 on a bill that would ease certain agricultural transportation restrictions. 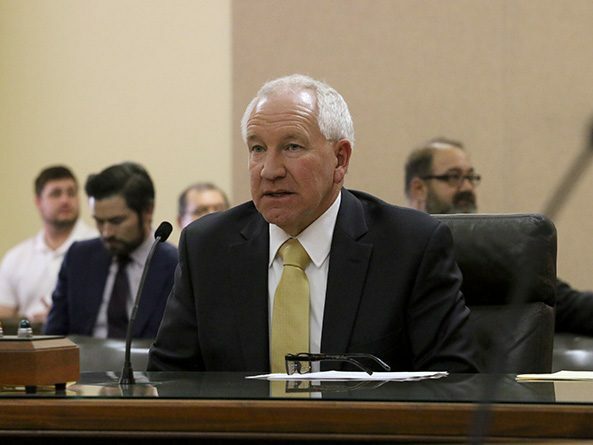 The Executive Board this session advanced legislation creating a special committee to oversee the state Department of Correctional Services and a task force to research the public health effects of alcohol sales on the Whiteclay community. 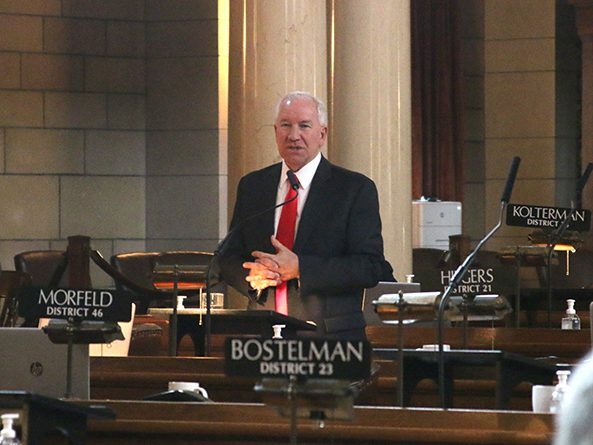 Lawmakers debated a bill May 4 that would require some online retailers to collect state sales taxes on Nebraska transactions. Some online retailers would be required to collect state sales taxes on Nebraska transactions under a bill advanced from general file April 11. Senators passed a bill April 3 that requires the state Department of Motor Vehicles to design and make available license plates with a “choose life” theme. A program designed to provide information technology (IT) skills to Nebraska high school and community college students would receive continued funding under a bill heard March 7 by the Appropriations Committee.